Club Membership fees for the 2018 - 19 Sailing Year will remain the same as the previous season. Membership at Maroochy is for our Sailing Year from July 2018 to June 2019. It includes Registration with Australian Sailing until 30 June 2019. 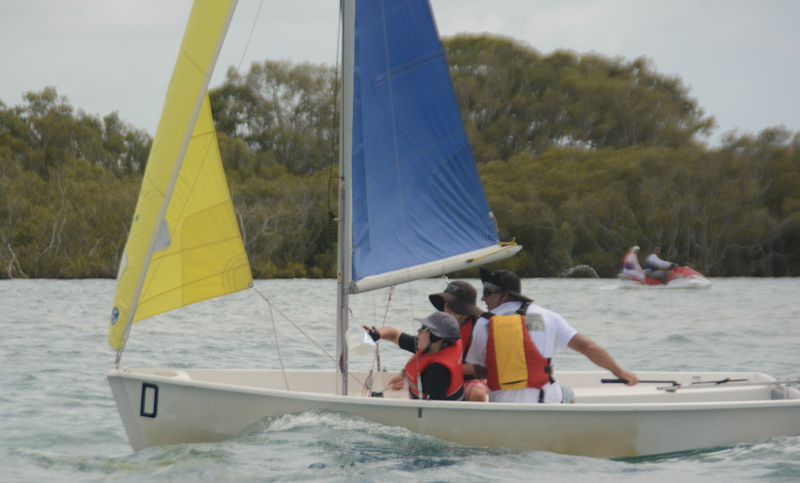 All on-water members need to have a current Australian Sailing Registration. Half Year rates from January to June 2019 now available! For those interested in Tackers - the pathway for younger youth into our Sport. Boat storage for club members is offered primarily to active club racing sailors. Space availability and allocation is at the discretion of the Club Committee. For storing your boat in the Maroochy Clubhouse - limited space available. Check with the Commodore! Adventure Membership includes all club boat usage on all Adventure morning sessions. 3 Club Bugs, 2 International Cadets or 1 Opti available for $10 donation. Donations are piggy banked for the never ending maintenance and repairs! We encourage the use of Australian Sailing's on-line system for Membership Registration (New Members) and Renewal (Continuing Members) and payment of Fees by using a credit card or Electronic Funds Transfer. During the Registration process some information is mandatory and you cannot continue until it is provided. It is important to provide at least one Emergency Contact and Phone contact plus Parent/Guardian details for all Youth members. On-line Registration requires a CREDIT CARD payment and includes both CC charges and a revSports Admin/Handling Fee. If you need to use Direct Debit (Electronic Funds Transfer), please email Peter or Gard for advice, including your contact phone number. Renewing Members should enter the module through the "RENEW" button. They will need their current AS Registration number. If you are a recent member, this can be retrieved on the RENEW page. At the end of the second screen, you must agree to the Membership Terms and Conditions set out by Australian Sailing. Following Registration and Payment, a confirmation email is sent to you with a receipt. For those registering for the first time, you will also be advised of your AS Registration Number - please note this for future use.